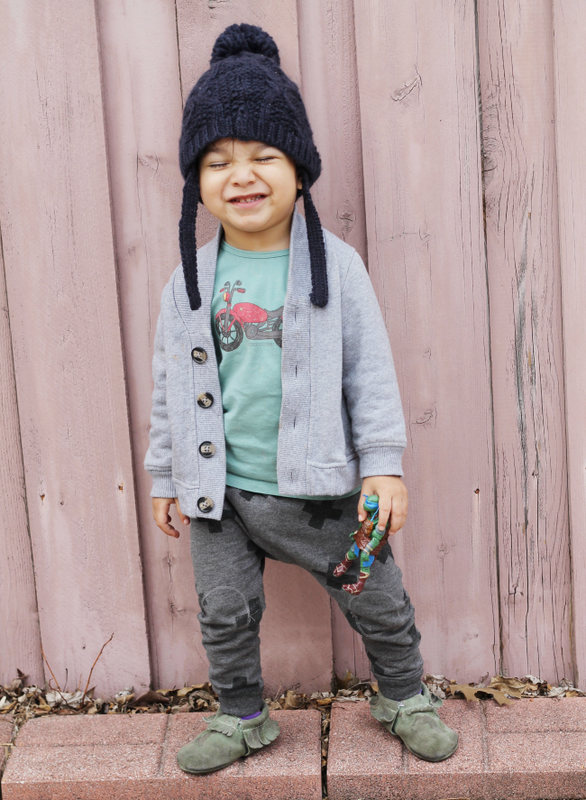 It is still surreal that I have a two year old. I never imagined this stage being so much fun. Honestly, I was terrified about Evan turning two. You always expect the worst when you hear other parents' experiences. Right? I know it's only the beginning for me, but so far it's been awesome. Yes Evan throws tantrums and yes he drives me crazy, but I always try to cherish those crazy moments. He is currently obsessed with Teenage Mutant Ninja Turtles. I ask myself how it happened so fast. I have no idea but we are really enjoying it. He knows their name and their color. He will occasionally watch TMNT toy reviews on YouTube and will ask to go to Toys R Us to buy one. Haha He is goofy and so much fun. He will do anything to make us laugh. When we take his picture he always makes a silly face. He'll laugh and say "Evan funny." I'll have to upload a video soon because his vocabulary is extremely impressive. I am so glad we are teaching him English and Spanish because hearing him speak and understand both languages makes me a proud mama. We both have learned so much these past twenty six months. I'll hold on to these memories forever. Life with a two year isn't easy, but we wouldn't have it any other way. One of my new year resolutions was to dedicate more time to myself. The last two years I have dedicated so much time to my son that sometimes it is hard to do things for me. I am learning ways to help me look and feel great on a daily basis. Lately makeup has really lifted my spirits. I have always loved makeup, but after I became a mother it was a little hard to keep up with the beauty world. Now that Evan is older I am finding ways to do things that make me happy, like applying makeup or doing my hair. I have to remind myself that just because I have a kid doesn't mean that I shouldn't feel pretty or splurge on a killer lipstick from time to time. Some days it is still hard to put on a full face of makeup, but a little lipstick makes a huge difference. I have three go to lip products that I have been loving this month. Urban Decay[ Love Child]- I am so obsessed with this lip pencil. It's glossy and gives just the right amount of pigment for everyday use. I can stick it in my purse and carry it everywhere to apply when needed. 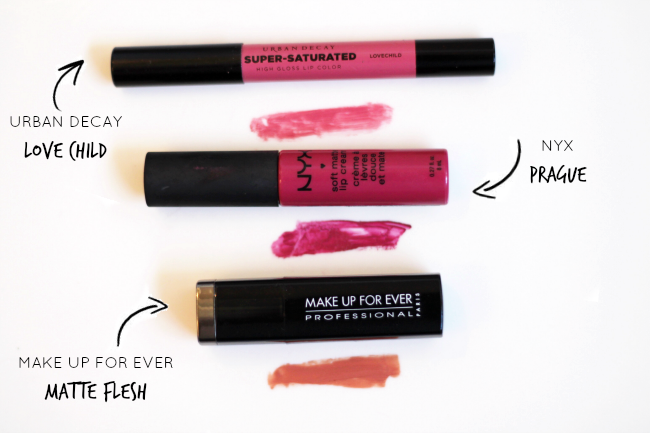 Nyx[ Prague]- I am all about matte lip products because it gives your lips a fuller look. On days where I wear less makeup I choose a bolder lip. A pop of color is always a great choice to complete a look. 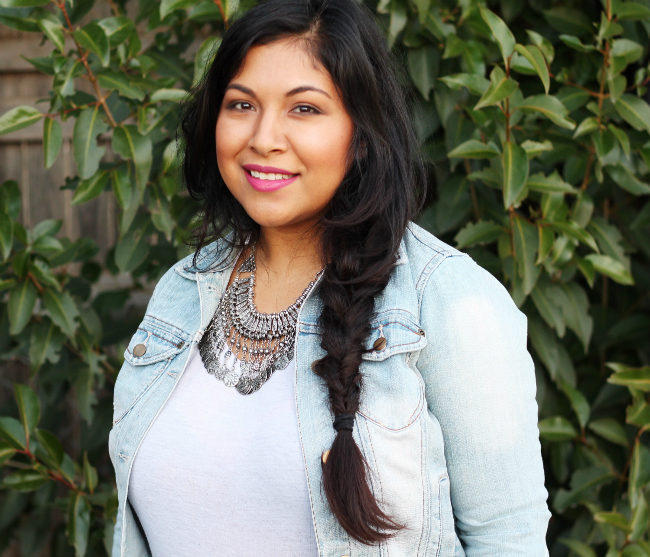 Make Up For Ever[ Matte Flesh]- I have been wearing this lipstick everyday. It is highly pigmented and long lasting. Even though it is a matte lipstick it has such a creamy texture that doesn't dry out your lips over time. I am obsessed with this one. What are you current go to lipsticks/lip products? I would love to try out your suggestions! Are you hosting or attending a Super Bowl party? Are you looking for something quick, easy and delicious to snack on? I have the recipe just for you. I always tend to leave things last minute. This year I want to be fully prepared and make this Super Bowl party a huge success. Luckily for me I am all set. 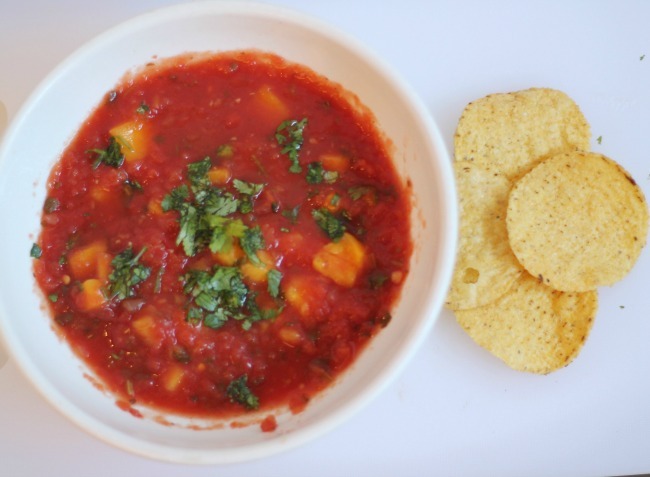 I have created a simple two minute mango salsa, and planned an activity for the kids. I know how hard it is to cook and keep up with a crazy toddler. Spending all day in the kitchen is a big no in my book. I would rather spend more time with my family and less time in the kitchen. Fortunately I always manage to prepare easy and effortless recipes that still wow my guests. 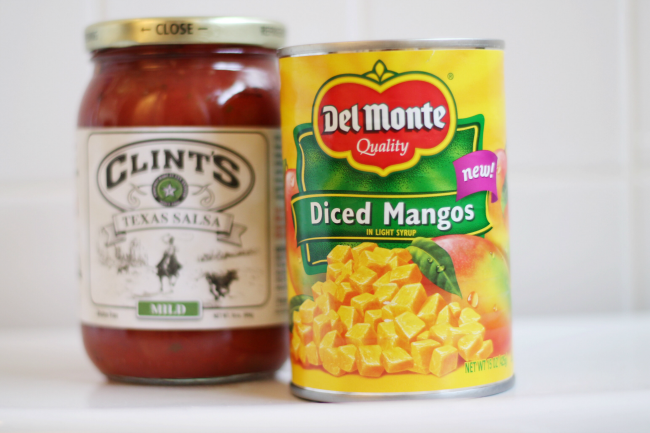 We took a trip to Walmart and picked up a can of Del Monte diced mangos and our favorite chunky salsa with a few other ingredients. You won't believe how easy it is to make it. All you have to do is add the mangos into the chunky salsa and mix. I added a little bit of salt and chopped cilantro to sprinkle on top. You can always spice it up with more ingredients, but adding a few ingredients is surprisingly amazing. My salsa turned out great. It was so addicting. I know everyone at the party is going to go crazy once they taste it. They may pay more attention to my salsa than the game. Last year we had kids running all over the house during the game. This year I am hoping that movies and snacks will keep them calm and happy. "The Book of Life" comes out January 27th and I am positive they will love it. Remember to visit Walmart on 1/22 thru 1/25 because there will be a sampling event taking place at select stores, and "The Book of Life" goes on sale 1/27. 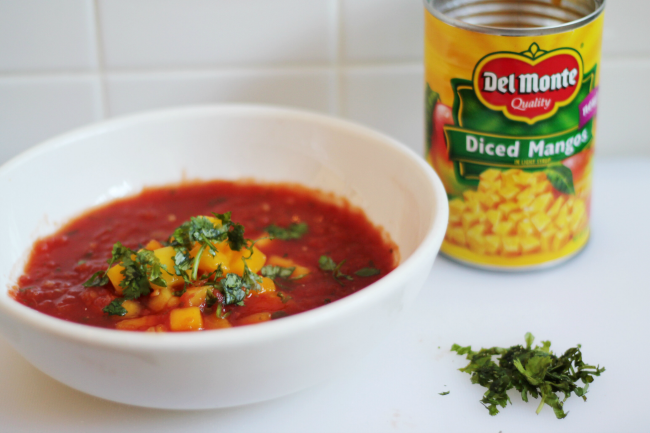 For more mango salsa recipes check out Del Monte's Pinterest. 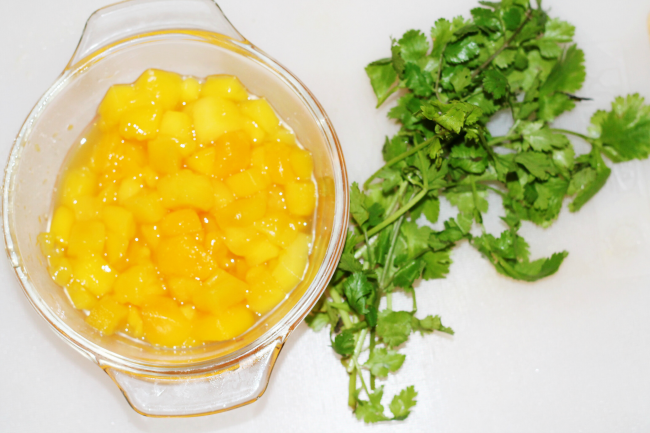 I hope you give this mango salsa a try. Your taste buds can thank me later. 2014 was a great year. I learned a lot and made so many beautiful memories. I remember setting goals for myself last year and as I look back I successfully accomplished most. This year I have a few goals that I hope to check off by the end of this year. 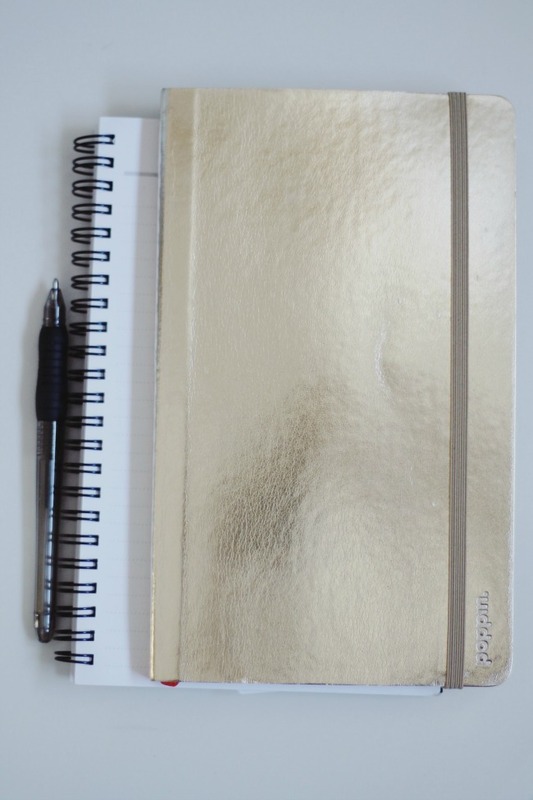 I truly believe that if we write down our goals in life it could potentially be a key to success. I found myself reading my favorite book The Alchemist by Paulo Coelho. It is such a inspiring and motivational book, I highly recommend it. "And, when you want something, all the universe conspires in helping you to achieve it." -Paulo Coelho I was gifted the cutest journal for Christmas, and I immediately jotted down what would make me happy if accomplished. - Start back on our healthy diet. No candy, no sodas but more home cooked meals. - Go back to school. After I found out I was pregnant I decided to take a break from college. Last year I realized it was time for me to further my education. - Go on dates with Edgar. I have dedicated so much time on my son that my poor boyfriend gets no attention. This year I hope to change that. - Blog more, I am hoping at least three times a week.